يقع نزل Moonraker Motor على بعد مسافة 10 دقائق فقط سيرًا على الأقدام من Griffiths Showgrounds، ويحتوي على ملعب تنس ومسبح في الهواء الطلق ومطعم، كما يحتوي على أجنحة مكيفة مزودة بتلفزيون مع قنوات فضائية وأفلام داخلية مجانية. يقع نزل Moonraker Motor على بعد مسافة 10 دقائق سيرًا على الأقدام من محمية Bushmans Hill، وهو أفضل نُزل غربي، ويبعُد مسافة 5 دقائق بالسيارة عن محطة Parkes للسكك الحديدية، كما يبعُد مسافة 10 دقائق بالسيارة عن مطار Parkes. يُمكن للضيوف الاستمتاع بتناول وجبة في منطقة الشواء أو لعب التنس، ويحتوي مكان الإقامة على ملعب للأطفال، ويوفر مرافق خدمة تخزين الأمتعة. تحتوي جميع الأجنحة بشكل قياسي على ميني بار ومرافق صنع الشاي والقهوة، كما تحتوي جميع الأجنحة على مكتب وحمام مع مجفف شعر. يتخصص مطعم Brysons في المأكولات البحرية وشرائح اللحم، ويوفر البار قائمة نبيذ شاملة، ويفتح أبوابه حتى منتصف الليل. Our room was quiet, not in the middle of town & clean. Quiet, clean & basic but comfortable. The girl at reception was pretty average. If you just want a place to rest for the night, it does have beds. 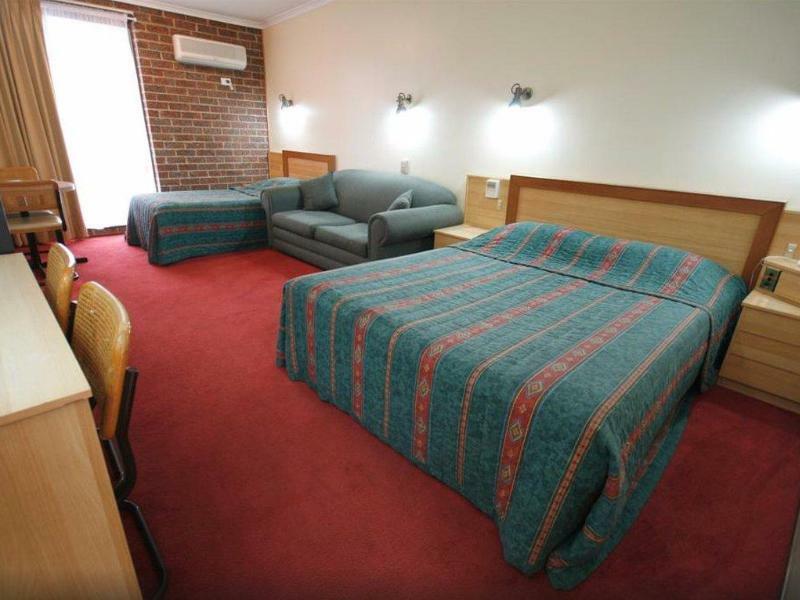 For those who are wondering, the motel is called 'Moonraker' because it's on the way to the Parkes telescope. Our room was facing a highway, yet we were not bothered by traffic noise, provided we kept the bathroom door closed. We liked the way the room was furnished, especially that the table and chair set allowed you to sit opposite each other instead of looking at the wall, as in most motels. 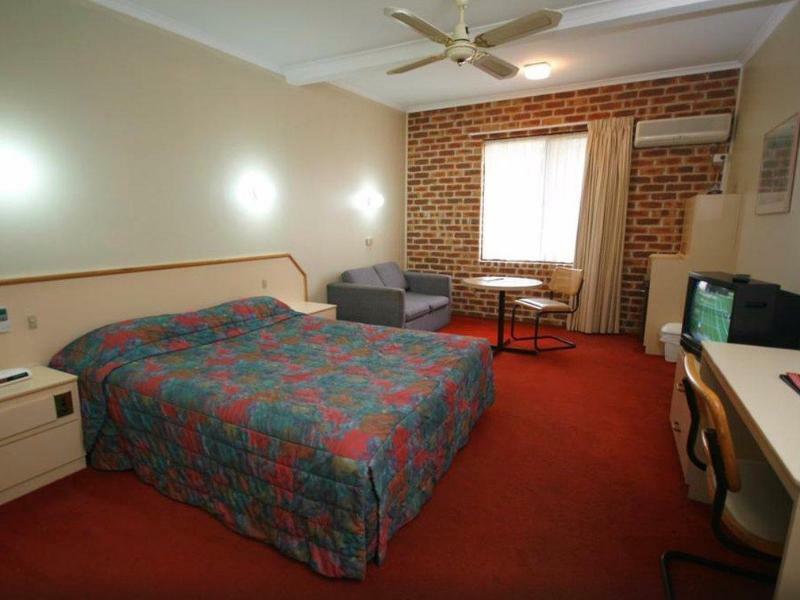 It's very difficult to get mobile reception in Parkes, but this motel is right near the tower, so it's great! So I didn't get the room with a spa, which would have been fine except for the used bandaid in the shower. Bathroom was old, and everytime somebody in the motel turned on the hot water, it sounded like a harley davidson starting up in the roof. Had to park on the road for one night as the parking is very tight and couldn't fit our car in. I will stay in a tent before I would stay there again.